The ketogenic diet, for example, has been found to be more effective than the vegetarian diet for weight loss, improving triglyceride and blood sugar levels, and reducing the severity of diseases like type 2 diabetes, obesity, epilepsy, Alzheimer’s disease, polycystic ovary syndrome, and some types of cancer. But the ketogenic diet comes with some environmental and health concerns as well. The primary environmental issue with all meat-containing diets stems from where people source their animal products like meat and dairy. Fortunately, we can address these potential issues by borrowing principles from both the ketogenic diet and the vegetarian diet to formulate an eating plan that is healthier for humans, animals, and the environment. In other words, we can get the benefits of the vegetarian diet and ketogenic diet in one diet — the vegetarian ketogenic diet. What is The Vegetarian Ketogenic Diet? The simplest definition of the vegetarian ketogenic diet is a diet free of meat, fish, and fowl flesh that restricts carbohydrates. By eating in this way, we can reap all of the benefits of the ketogenic diet while reducing our carbon footprint, decreasing animal abuse, and improving health. Limit your total carbohydrate consumption to 35 grams or less per day. Eliminate all animal flesh from your diet (e.g., meat, fish, and poultry). Eat plenty of low-carb vegetables. Get at least 70% of your calories from fat. Consume plant-based proteins, eggs, and high-fat dairy to meet your protein needs (roughly 25% of calories). Supplement with nutrients that you may not be getting enough of like vitamins D3, DHA & EPA, iron, and zinc. Use the keto calculator to figure out your calorie and macronutrient needs. Continue reading for more precise vegetarian keto diet recommendations. While you are on the ketogenic diet, do not eat the foods listed above. These foods are so high in carbohydrates that one serving can take you above your carb limit for the day and kick you out of ketosis. However, just because you can’t eat these foods, doesn’t mean you are stuck with eggs and lettuce as your only vegetarian keto-friendly options. Above ground vegetables – broccoli, cauliflower, zucchini, etc. High Fat Dairy & Eggs – hard cheeses, high fat cream, butter, eggs, etc. 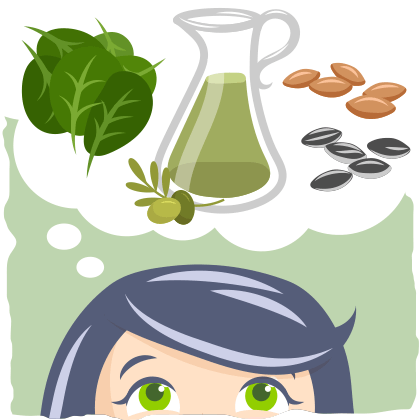 Nuts and seeds – pistachios, almonds, sunflower seeds, pumpkin seeds, etc. Other fats – coconut oil, olive oil, MCT oil, avocado oil, etc. For a more comprehensive breakdown of the calories, fats, proteins, and carbs in some of these foods, check out our ketogenic diet food list. 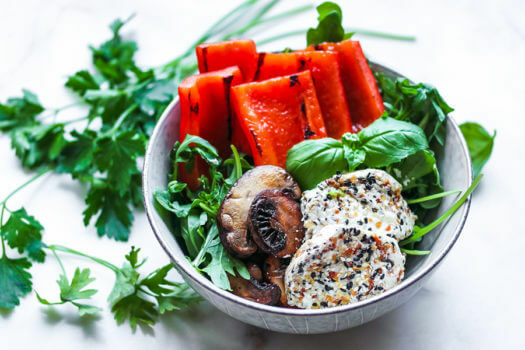 By sticking to the vegetarian keto-friendly foods listed above, you can be a vegetarian and a keto dieters at the same time, while covering most of your nutritional needs. At first, however, it may seem challenging to get enough fat without the help of meat and fish. Fortunately, you won’t have to eat sticks of butter and dozens of eggs every day to meet your fat needs. There are plenty of healthy plant-based fats worthy of being your new keto staples as well. Eggs and high-fat dairy will be a significant component of most of your keto meals. However, they won’t be your only source of fat. In fact, you can use many plant-based oils to replace all the animal fats commonly used in cooking and baking if you’d like. Avocado Oil. Avocado oil has a ton of healthy monounsaturated fats. It also has the highest smoke point of any other cooking oil (at 520 degrees Fahrenheit), which makes it perfect for cooking, baking, and deep frying. 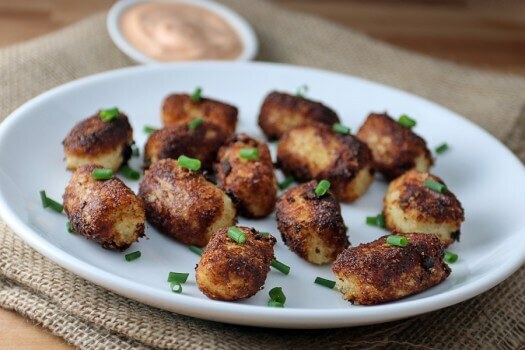 You can use it to fry the vegetarian tater tots that you’ll learn about later in the article. Coconut Oil. This oil provides you with an abundance of fatty acids that are the ideal fuel sources for keto dieters. It is an excellent oil for fat bombs, desserts, and cooking and baking at temperatures under 350 degrees Fahrenheit (similar to butter). Olive Oil. Olive oil is one of the healthiest oils you can consume. In fact, a recent 2018 study found extra virgin olive oil to be the safest and healthiest oil for cooking, baking, and deep frying. Although these aren’t all of the plant-based oils you can consume, these oils are the healthiest and most versatile. That being said, high-fat plant foods are the ideal fat source. These foods will help you meet your fat, vitamin, mineral, and fiber needs simultaneously, making them a vegetarian keto dieters best friend. Avocados. Like avocado oil, but packed with vitamins, minerals, and antioxidants, the avocado is the perfect addition to any vegetarian keto meal. 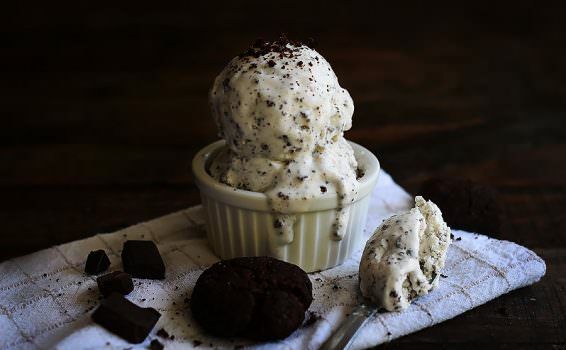 You can also make keto-friendly vegetarian desserts with avocado like Chocolate Chunk Avocado Ice Cream. Seeds. Seeds like pumpkin seeds, sesame seeds, flaxseeds, and sunflower seeds can be another high-fat, healthy addition to your diet. However, they contain higher levels of inflammatory omega-6 fats, so don’t rely on them as a dietary fat staple. Vegan Dairy Alternatives. 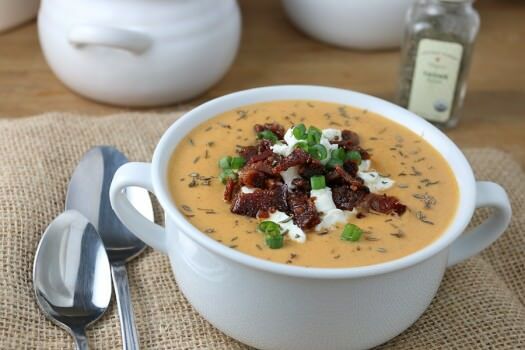 Later in this article, we will go over a couple of dairy substitutions that you can use to replace things like butter, cream, yogurt, and cheese in your favorite keto recipes. For a more in-depth look at vegan dairy substitutes for keto, read our comprehensive guide to the vegan ketogenic diet. By incorporating a combination of these plant-based oils and fat-packed plant foods, you won’t even need eggs and high-fat dairy to meet your fat needs. There is, however, one downside to using these fat sources: many of them contain little to no protein. Without meat, how can we get enough protein on a vegetarian keto diet? Although it is one of the primary sources of protein on the keto diet, meat is not necessary to meet your protein needs. In fact, you could get enough protein by simply eating eggs and cheese every day. 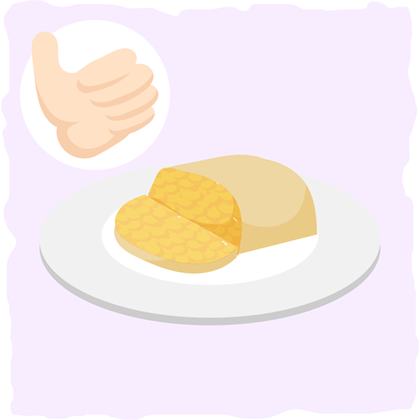 Tofu is made from soybeans and is high in protein and calcium. The best part is you can use it as a convincingly tasty substitute for meat, poultry, and fish. Although tofu tends to be soft and mushy, you can make it as firm and chewy as meat by buying extra-firm tofu and pressing the heck out of it or freezing it and then pressing it. Make sure you season or marinate it before cooking so that it can soak up all of the flavors like a sponge. Tempeh is a fermented form of soy that is firmer than tofu and has a more grainy texture, making it a great substitute for fish and ground beef. All you have to do to prepare tempeh is slice it, dice it, or grind it up in a food processor. If you find tempeh to be a bit bitter, try steaming it for a few minutes before using it. Important Health Considerations for Soy Consumers: Because tofu and tempeh are made from soy, it is important to notice how you feel after including them in your diet. Although soy tends to be healthy for most people, it does contain goitrogens, which are plant compounds that can impair thyroid function. If you experience fatigue, cold sensitivity, constipation, dry skin, or unexplained weight gain as a result of upping your intake of soy-based products, then you should limit the amount of soy you consume and supplement your diet with iodine-containing foods. To ensure that you get the healthiest tempeh and tofu, make sure you buy 100% organic soy products. Conventional soy products contain traces of harmful chemicals like pesticides and herbicides that are sprayed in copious amounts on GMO soybeans. 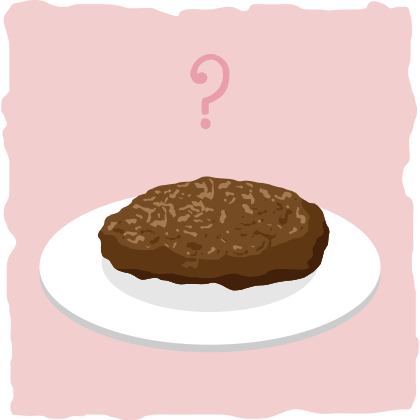 Seitan or “wheat meat” is a vegetarian meat substitute made from wheat gluten, soy sauce (or tamari), ginger, garlic, and seaweed. This vegan “meat” is high in protein, low in fat, and a good source of iron. Seitan does, however, contains a lot of gluten. In fact, the main protein source of seitan is the gluten protein. If you are sensitive to gluten in any way, then it’s best to avoid “wheat meat” at all costs. There are a handful of vegan burgers and other “meats” that are available in most grocery stores. However, before you invest any product, read the label carefully. If it has a lot of potentially harmful ingredients or added sugars/carbs, then don’t buy it. Look for the simplest ingredients, the lowest carbohydrate content, and a good amount of fat or protein per serving. The same rules apply when making your own vegan burgers. Many vegan burger recipes are packed with carb-dense foods like grains and legumes. Keto-friendly veggie burger recipes should look something like this low-carb recipe, using only the healthiest low-carb ingredients and no carb-ridden fillers. Many nuts and seeds are packed with protein as well. And — although it’s technically a legume — peanuts are a great low-carb vegetarian protein source. They are packed with protein (~24 grams of protein in every 100 grams of peanuts) and relatively low in carbs (16 grams of total carbs in every 100 grams of peanuts). When it comes to buying protein powder, 100% grass-fed whey protein and organic pea protein isolate tend to be the best options. Although grass-fed whey protein isn’t any better than conventional whey protein from a nutritional perspective, it is definitely healthier for the environment. Add protein powder to your low-carb smoothie. Add a scoop of your favorite protein powder to one of Ruled.me’s smoothie recipes. The Blueberry Banana Bread Smoothie, McKeto Strawberry Milkshake, Cucumber Spinach Smoothie, and Blackberry Chocolate Shake are some delicious examples you can try. Add a flavorless protein powder to your meals. Pea protein isolate tends to be the cheapest and easiest vegan powder to use, while whey protein is the most popular dairy-based protein powder. You can add them to sauces, mix them with your vegan burgers, or make delicious fat bomb protein bars with them. In the opening of this article, we briefly mentioned how eggs and dairy production have a particularly low environmental impact compared to meat, farmed fish, and poultry. Unfortunately, most of the dairy and eggs you’ll find in the supermarket come from dairy cows and hens that lived under horrid, torturous conditions. Each purchase of these conventionally-grown animal products casts a vote for nutritionally inferior foods and supports environmental pollution and animal abuse. This is why it is important to look for eggs and dairy produced by sustainably-raised animals. To do this, we must shift our shopping strategy. Instead of looking for the cheapest animal products with meaningless marketing terms like “cage-free” or “vegetarian-fed,” search for dairy and eggs that come from local, pasture-raised animals. Before you buy, research the company or farm behind the product to make sure they are raising the animals in a healthy, sustainable way. US Wellness Meats for 100% grass-fed pasture-raised cheese and butter. Udder Milk for all your high-quality dairy and egg needs. White Oak Pastures for the best-pastured eggs. On the other hand, if you want to limit your dairy and egg consumption altogether, feel free to use the following keto-friendly dairy alternatives instead. Replace Heavy Cream with Coconut Cream. Instead of Butter use Coconut Oil or Vegan Butter. Replace Dairy-Based Cheese with Vegan Cheese. Instead of Cream Cheese have Vegan Soft Cheese. Replace Yogurt and Sour Cream with Nut-Based Yogurt. Instead of Eggs use The Vegg or VeganEgg. For more details on how to find and use these vegan alternatives, read through our vegan ketogenic diet guide. The vegetarian ketogenic diet is one of the most sustainable diets for the environment, animal health, and your health. Just make sure you are restricting your carbs below 35 grams per day and eating plenty of fat and protein. 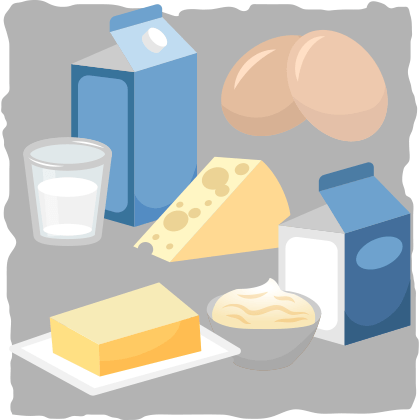 High Fat Dairy & Eggs – hard cheeses, heavy cream, butter, eggs, etc. Dairy Alternatives — unsweetened coconut-based yogurt, coconut cream, vegan cheeses, etc. Plant-based fats – coconut oil, olive oil, MCT oil, avocado oil, etc. 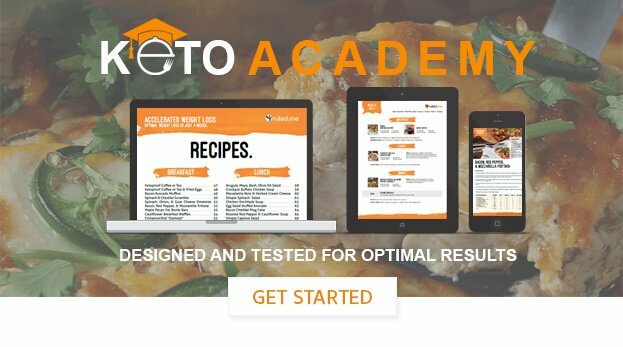 To find out exactly how much you need to eat to achieve your goals, plug your information into the keto calculator. Once you know how much you need to eat, we can figure out what to eat. 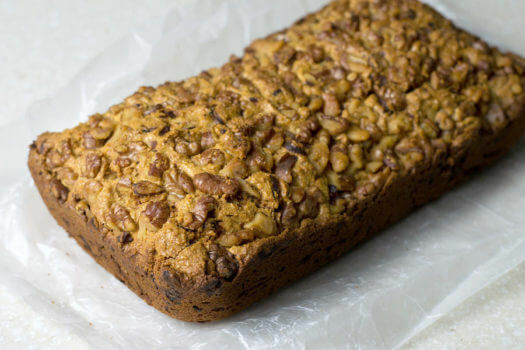 A zucchini bread recipe without the excess carbs? You got that right! Plus, it is just as good, if not better, than the real thing. 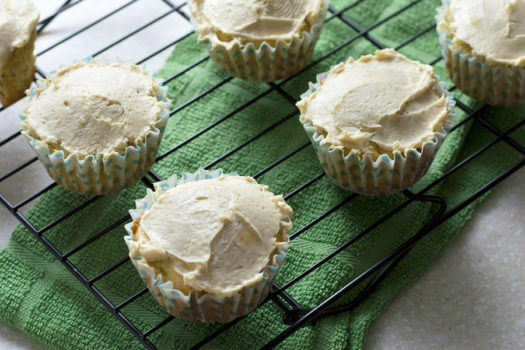 All you have to do is replace the sugar with erythritol and the flour with almond flour, and you have a delicious, keto-friendly recipe. Weighing in with around 80% calories from fat, this breakfast will fill you up and keep you full until lunch. 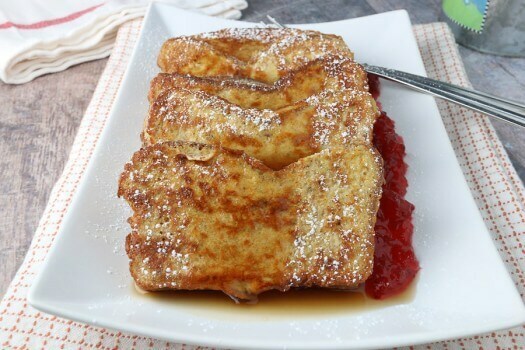 The great flavors of pumpkin spice come through to make a decadent morning meal that can be easily topped with a bit of extra keto maple syrup for the finishing touch. This seasonal favorite may even become your go-to breakfast. 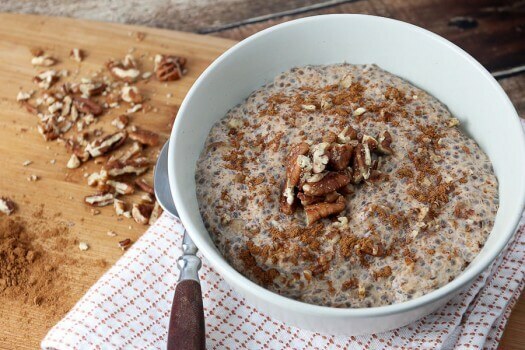 If you are looking for a warming and comforting delicious and simple breakfast, have “oatmeal” — keto “oatmeal.” The texture isn’t exactly the same as oatmeal – but the taste is pretty darn close! 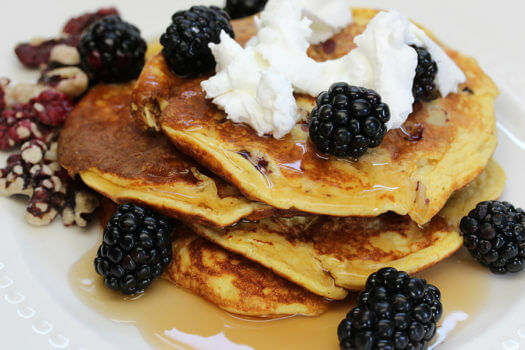 Yes, that’s right — Keto-friendly pancakes! If you want something that LOOKS like the real thing, that TASTES like the real thing, and most importantly can satisfy your need for this delicious temptation, then this pancake recipe is for you. Although this is a standard coffee shop breakfast item, it doubles as a delicious vegetarian-friendly lunch as well. 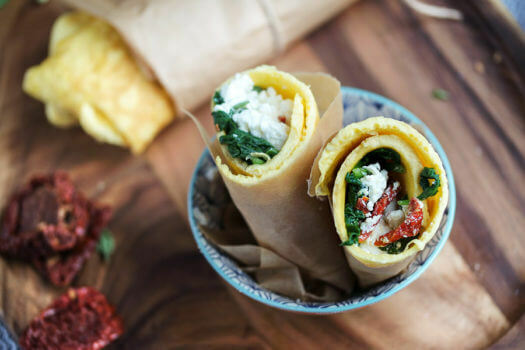 The combination of wilted baby spinach with chunks of tangy feta, fragrant basil, and slightly sweet sun-dried tomato bits make this the perfect breakfast, brunch, or lunch. All of the flavors and textures you love in lasagna without the extra carbs. All you’ll need is zucchini, ricotta, mozzarella, marinara sauce, and 10 minutes to make this delicious Italian favorite for lunch. Craving a quick and easy pasta meal for dinner? Try this zucchini pesto recipe. 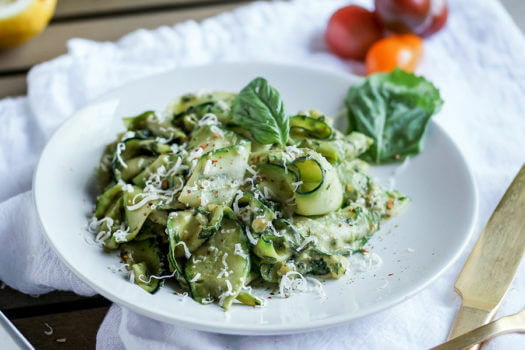 The zucchini noodles are thin and tender, providing the perfect vehicle to transfer all of the delicious flavors of the avocado walnut pesto to your mouth. 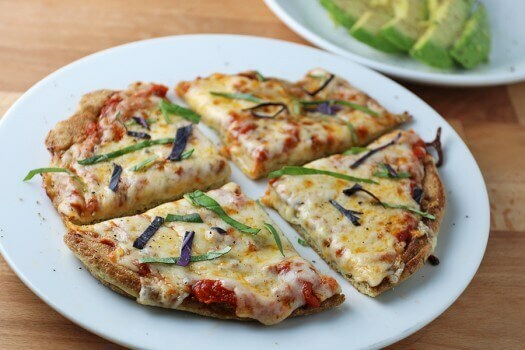 Cheese pizza in 5 minutes, and it’s keto-friendly. Throw away the number for pizza delivery — you won’t need it anymore. 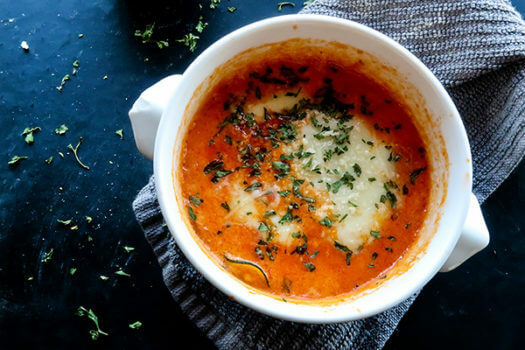 This is like a sophisticated version of tomato soup and grilled cheese – except without the bread. 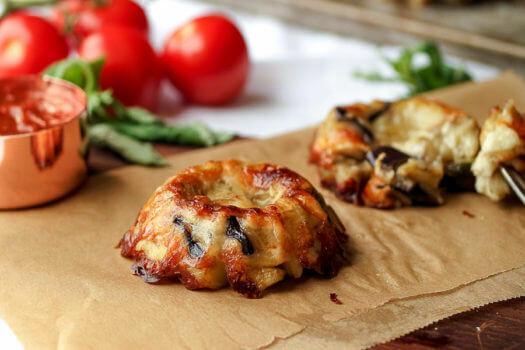 The tangy goat cheese really gives it another dimension of flavor and enjoyment. *To make this recipe completely vegetarian: use butter or avocado oil instead of duck fat and vegetable broth instead of chicken broth. 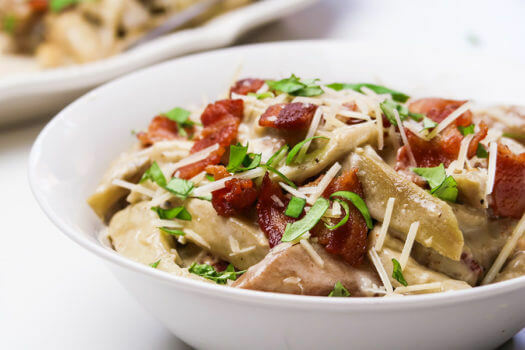 Creamy, cheesy, and more flavorful than other carb-laden alfredo dishes. The eggplant noodles have a spongy texture that is perfect for soaking up sauce and fat without becoming too watery or too greasy. But hold on — what are vegetarian ketogenic dieters supposed to do about the bacon? Make vegan bacon instead. *To make this recipe completely vegetarian: make vegan bacon by following the bacon recipe in the next section. These keto-friendly fries are crispy and cheesy on the outside, but still tender enough to bite into. 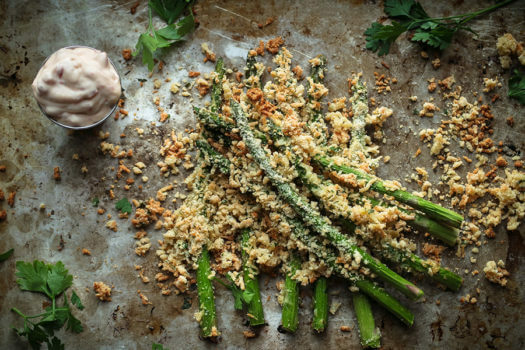 Fresh parsley and parmesan cheese add a tangy, bright dimension that is given a little body with smoked paprika. 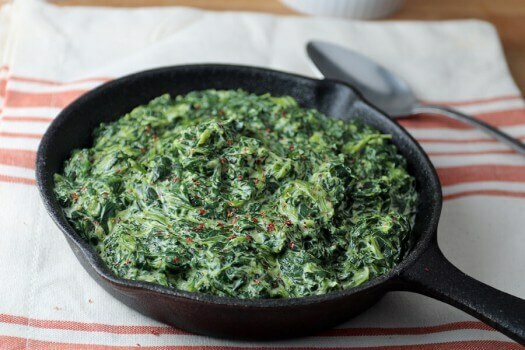 This side dish is so delicious and has such a creamy texture that you will forget you are eating a leafy green. 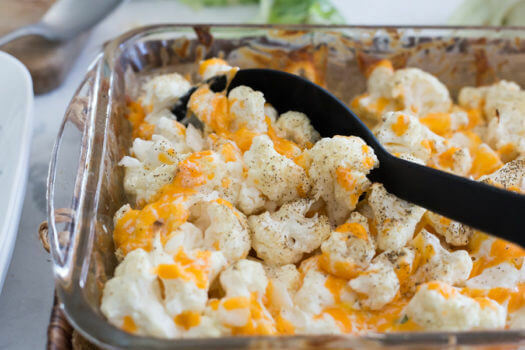 It’s quick, easy, tasty, and healthy — what more could you ask for in a keto-friendly side dish? There is something about cauliflower that gives it such a delicious flavor on its own after it’s baked. Add some onion, sour cream, and cheese on top, and you are in for a real treat. The kids will love it too! Tater tots without the taters, and you’ll still be a craver. There’s no need for potatoes when you use this delicious recipe. You’ll end up with miniature sized, golden brown bites of deliciousness that will go with just about every meal. Feel free to serve them up with low-carb fry sauce, and dip away. 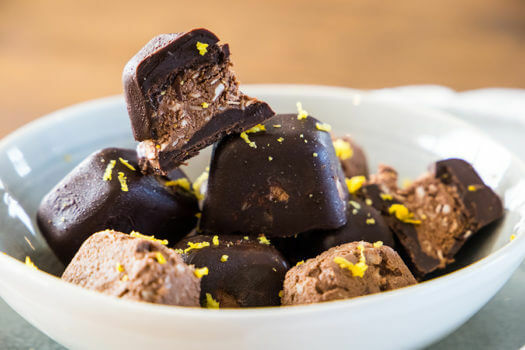 Want a piece of keto-friendly chocolate with a delectable rich mousse center? Make these. I rate these up there with the finest chocolatiers, except they are very much keto friendly. The mousse mix has a hint of lemon and coconut which gives a bit of freshness, but you can choose to leave these out if you wish. 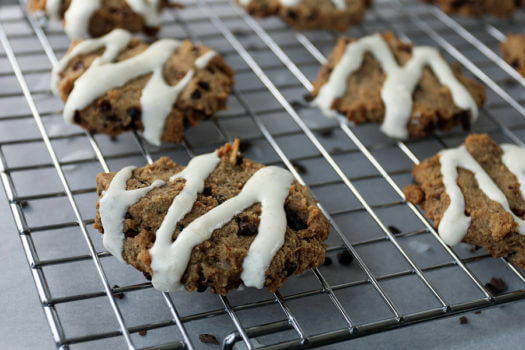 Very much like white-flour based chocolate chip cookies, but healthier and more filling. Bake a batch of these keto-friendly cookies, and you’ll have a healthy way to satisfy your sweet tooth at any time. Sometimes a meal just doesn’t feel complete without ice cream. This keto cookies and crème recipe will satisfy your ice cream needs and then some. Have a scoop with some low carb coconut chip cookies if you really want to treat yourself. Note: You may notice that one of these recipes (and many many more on the ruled.me website) calls for bacon. 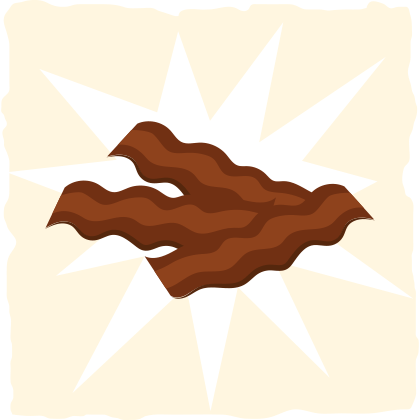 However, this doesn’t mean that you have to skip this or any other bacon containing keto recipes. You can make your own homemade vegan bacon instead. Add Bacon to Any Meal With Homemade Vegan Bacon! Although there are many vegan bacon products on the market, they tend to be filled with chemical preservatives and other questionable ingredients. Make healthy vegan bacon instead! With that, we have protein, fat, carbs, vegetarian keto meals, and vegan bacon covered. We are now fully equipped with all the knowledge we need to follow the vegetarian ketogenic diet and get amazing results. Dessert (optional): pick any dessert from above and use it to fulfill your macronutrient needs. With this simple vegetarian ketogenic meal plan template, you’ll be able to make more than a full week’s worth of meals for one. These recipes will provide you with leftovers, so you may not have to prepare the same recipe more than once in a week. If you’d like to get more creative and try something new, check out Ruled.me’s recipe page to find other vegetarian-friendly or “vegeterianizable” recipes. Use the calorie breakdowns on the meals to guide your decision of how much to eat. Your meals should be big enough so that you don’t feel the need for snacks or dessert. That being said, you may still have some days where you struggle to meet your macronutrient goals. In these cases, use the desserts in this article (or other keto-friendly sweets that you can find here) to reach your goals and satisfy your sweet tooth at the same time. There is, however, a vitally important caveat. It is hard to know precisely what your macronutrient ratios will be for each meal without knowing what vegetarian alternatives you use. 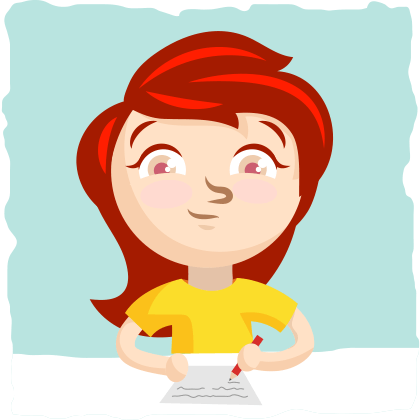 The macronutrient counts on every Ruled.me’s recipes may not be 100% accurate for all of your meals. It is your responsibility to make sure you are meeting your carbs, fat, and protein needs (which you can find with the keto calculator). The easiest way to do this is by using our carb counting guide. Another crucial caveat is that it is possible to develop various nutrient deficiencies on the vegetarian diet. To ensure that your micronutrient needs are covered, follow the simple suggestions below. A meatless diet can be one of the healthiest diets, but this dietary approach can also be particularly low in vitamin B12, EPA & DHA, calcium, iron, and zinc. Eat as much real food as possible — limit your consumption of fake meats, overly processed soy products, vegan junk food, etc. Take a vegan DHA+EPA supplement. Properly prepare any seeds and nuts that you eat. Soaking and sprouting (when possible) help deactivate mineral-binding proteins that impair mineral absorption. 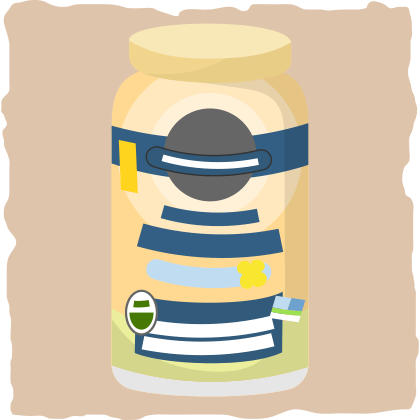 Eat some fermented foods like sauerkraut, kimchi, and natto to improve digestion and vitamin and mineral absorption. Keep your thyroid in good shape by eating iodine-rich food like seaweed and increasing your selenium intake. Take a zinc supplement (like Zinc Balance) if you are experiencing zinc deficiency symptoms like dry skin or getting sick with a sore throat more often than usual. Supplement with carnosine and creatine. These two compounds help improve health and exercise performance in a variety of ways. Unfortunately, they are not found in plant foods. Consider adding oysters, clams, and other bivalves to your diet. They are typically filled with so much B-12 and zinc that you may be able to cover your needs by eating them just once a week. By following the vegetarian ketogenic diet, you can help reduce your environmental impact, decrease animal suffering, and improve your health. However, this diet requires more hard work and dedication than most diets to get it right and reap all the benefits. Plant-based oils like coconut oil, avocado oil, MCT oil, avocado oil, olive oil, etc. *To make this recipe completely vegetarian: make vegan bacon by following a bacon recipe from the article. Keep in mind, however, that the keto vegetarian diet might not be able to cover all of your nutritional bases. Eat the right amount of calories, carbs, fats, and protein. All of the effort you put into following the vegetarian ketogenic diet will mean nothing if your macronutrient consumption is off track. 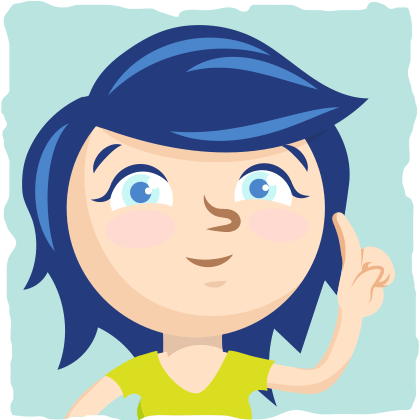 To find what numbers you should aim for, plug your information into our keto calculator. Once you’ve done that, read through our beginner’s guide, so you know what to expect on the ketogenic diet. For those of you looking eliminate all animal products from your keto diet, we recommend checking out our comprehensive guide to the vegan ketogenic diet as well. It includes a one-week vegan ketogenic diet meal plan and plenty of suggestions on how to veganize your favorite keto meals.